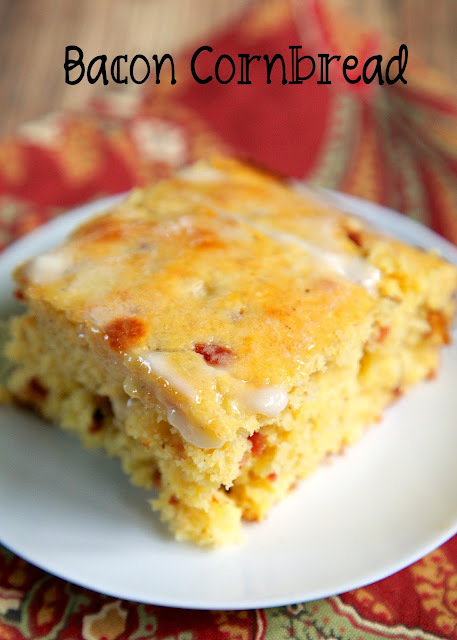 Bacon Cornbread Recipe - homemade sweet cornbread packed with fresh corn and bacon - recipe from The Biltmore in Asheville, NC. Bacon Cornbread Recipe - homemade sweet cornbread packed with fresh corn and bacon - recipe from The Biltmore in Asheville, NC. SO delicious! How could it not be with yummy bacon?!?! Ready in 30 minutes. This recipe is from The Biltmore House in Asheville, NC. My parents love to visit Asheville and visit the Biltmore. They go several times a year. My Mom sent me the link to this cornbread recipe, and I had to try it ASAP! It was super simple and tasted super good! Seriously good! I mean how could it not be with bacon??? 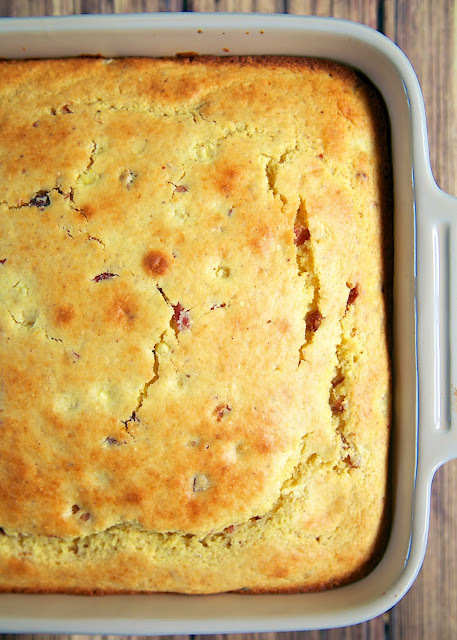 This recipe is different from my regular cornbread recipe because it has some sugar in it. 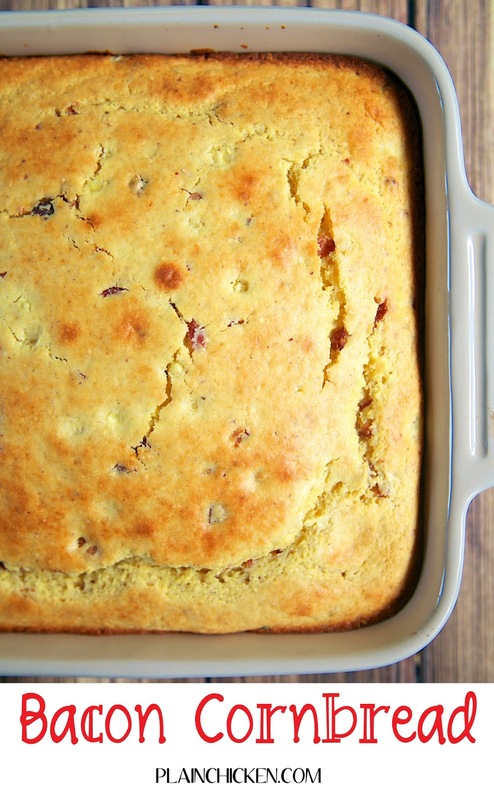 I am not usually a fan of sweeter cornbreads, but I loved this recipe! It wasn't super sweet, maybe the bacon helped cut down on the sweetness. OMG! YUM! This recipe makes a big pan of cornbread, but it is easy to half if you don't need to serve a crowd. The cooking time stays the same. Preheat the oven to 400ºF. Lightly spray a 9x13-inch pan with cooking spray. In a large bowl whisk together corn meal, flour, sugar, baking powder, baking soda and salt. Stir in eggs, buttermilk, and melted butter, then fold in the corn and bacon. Pour the batter into prepared pan. Bake approximately 30 minutes, until golden brown.